Today's Image of Mars shows dunes and sand ripples of varying sizes within an impact crater in Noachis Terra. 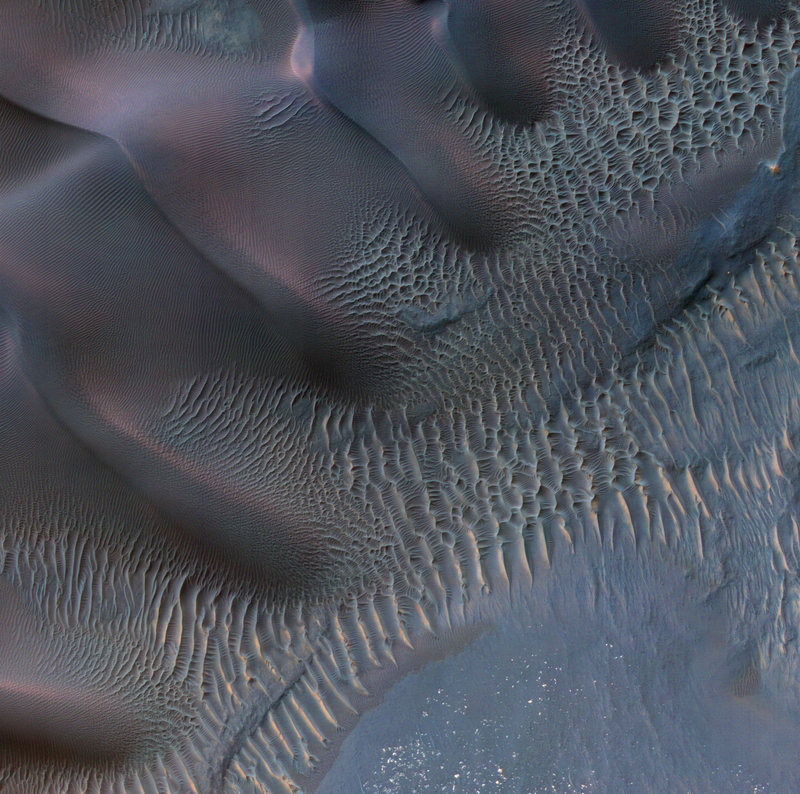 These dunes are a perfect representation of the natural beauty on Mars. Because dunes are shaped by the wind, their orientation helps scientists to determine the wind's direction and strength in the imaged area. This can help scientists when they are planning future missions to Mars and need to be wary of all environmental factors.